The Magnificent Morab is doing it again. Morabs are in the news. 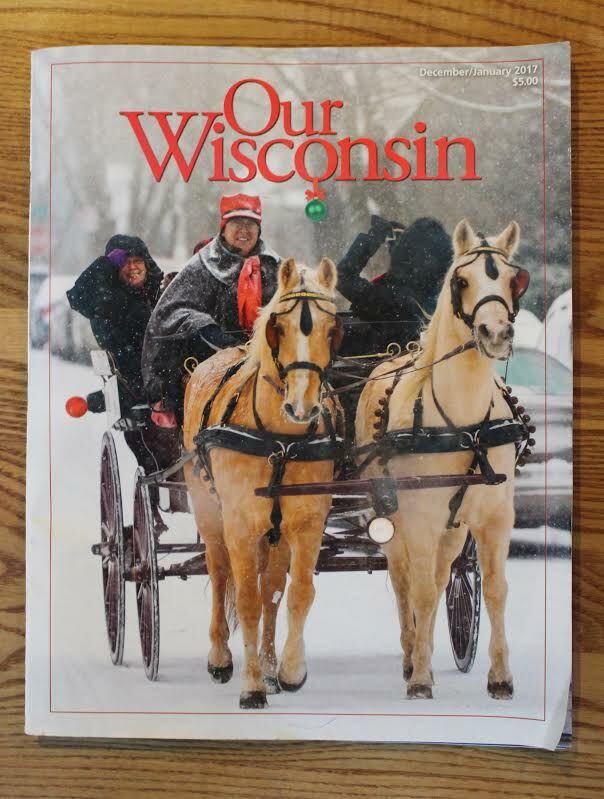 Two beautiful Morab mares, belonging to Wes and Jane Licht of Rocking L Acres made the front cover for the December-January issue of “Our Wisconsin” magazine. ABOUT OUR COVER: A carriage ride down historic Monroe Street in Madison is the perfect ending to a day of holiday shopping. Palomino Morab horses Rosali and Gracie provide the power for driver Wes Licht of Rocking L Acres, McFarland. Carriage or sleigh rides are offered by appointment. Photo by Paul McMahon of Madison. Congrats Wes and Jane Licht on your beautiful horses! Also making the news was Morab stallion Montego’s Thunder. 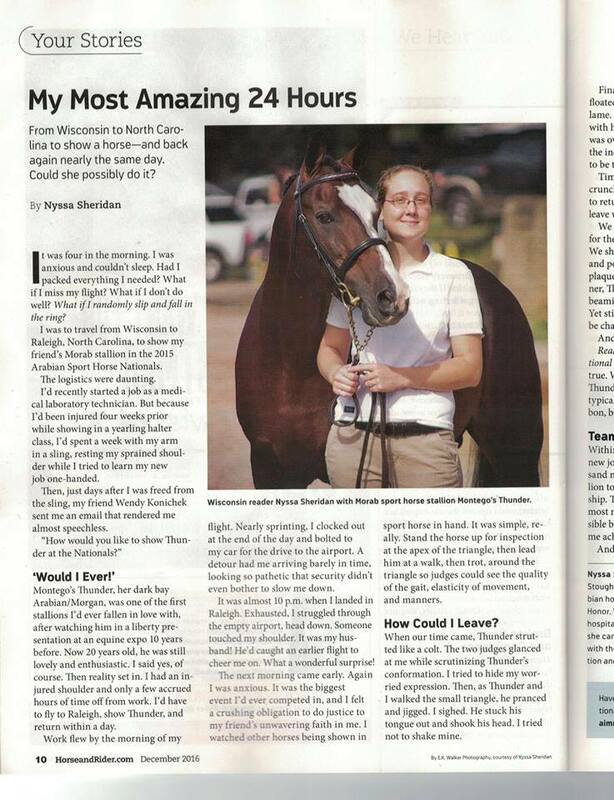 Nyssa Sheridan wrote a short story about her 2015 Arabian Sport Horse Nationals adventure, which was then published in Horse & Rider. Montego’s Thunder is owned by Jericho Creek Farm II. Congratulations to all of our wonderful Morabs. If you have additional Morab news you would like to share, please feel free to contact our webmaster Nyssa.